A geeky update today. Here are some programs I use daily on my Nexus 4. KINDLE - you don't have to have kindle to read kindle. At least when it comes to the hardware. It's because the software comes in handy making all nerds happy. SWIPEPAD - golden productivity tool when using naked Android with basic launcher. Gives you access to frequently used apps with just a swingy swipe, as opposed to endless tapping. EVERNOTE - for more complexed notes and keepsakes. With the simple ones Google Keep works just fine. However the more and various materials you collect in your memo, the more you'll enjoy its cool features, like searching words on photos. 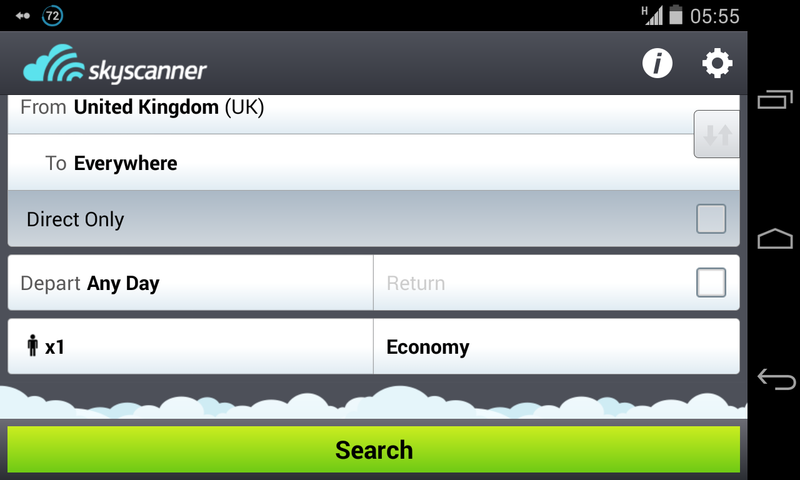 SKYSCANNER - compares flights prices. The freedom alone felt when searching for directions (v)everywhere & (v)any time makes installing it worthy. COLOR ZEN - chill out and invite yourself back to children's innocence. It's a non competitive, but contemplative game with colors and shapes. After 15 minutes you cherish life and bliss the fellow commuters. CONTACTS+ - Cool way to keep all contacts together, and stay updated with all social networks imaginable. Why make NSA employees lives harder? I'd like to mention beautiful and useful Battery Widget and Allthecooks app gathering community of cooking lovers with million recipes. Temptations of new technologies are too strong to resist. Let's not forget unbeatable Google products like G.translate, G.Maps, G.Search and Gmail, making me feel that the struggle is finished. I've won the victory over myself. I love Big Brother.